Puck closed his office door and announced he was leaving Ma Maison and would soon be opening his own restaurant on the Sunset Strip. 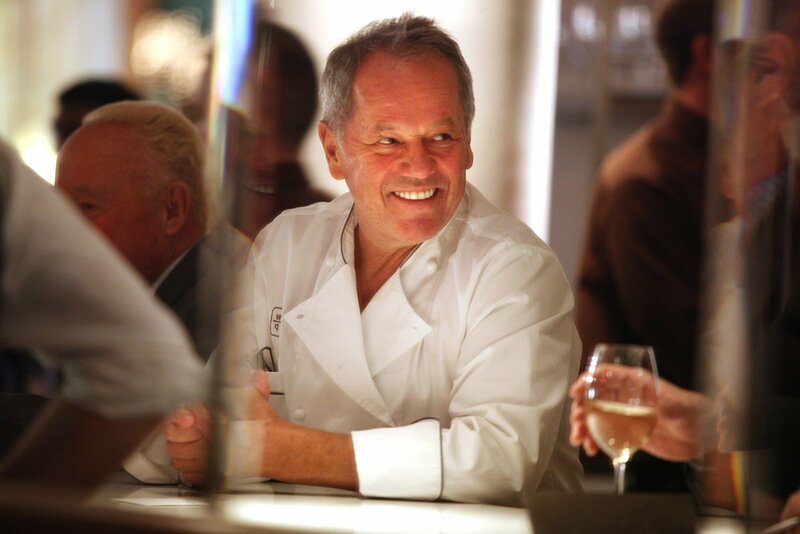 He was excited about the future of his bistro that he would call “Spago,” and we celebrated the impeccable timing of the publication of his new cookbook—Wolfgang Puck’s Modern French Cooking. The Austrian-born chef had come to Los Angeles in the mid-1970’s, after having apprenticed at Hotel de Paris in Monaco, Maxim’s Paris, and two years at La Tour in the Midwest. His excitement about the project was palpable and contagious—especially for this relatively new arrival in town who had inadvertently stumbled upon the very beginnings of a food and dining empire. Puck quickly became the new cover boy for the Los Angeles Times Food section. His national profile was dramatically enhanced amid the publicity surrounding Spago’s opening, including his media appearances on behalf of the cookbook. 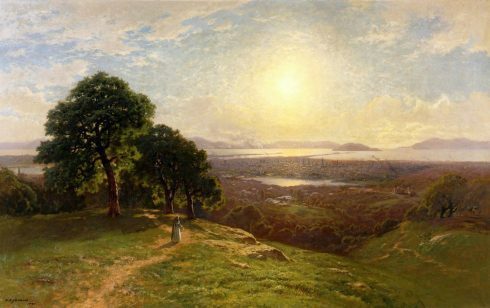 During the course of the following year, I found myself dining in unexpected company as I occasionally treated bookselling friends to the new Westside hot-spot. Plates of tantalizing dishes that I could not begin to identify, would magically appear at our table—compliments of the smiling chef who was merrily creating his mysterious experiments behind the counter of the open-air kitchen that adjoined the dining room. As I watched Puck conduct the careful orchestration of his kitchen, he reminded me of a passionate scientist in his lab in a quest for new breakthroughs and innovation. The charismatic chef routinely left his kitchen to roam the dining room and chat with his customers who seemed to lap up the attention from the newborn star. One evening, Jack Lemmon and Walter Matthau were at a nearby table and seemed as infatuated with his company as the rest of us. Hollywood had found its gourmet star and engaging host. 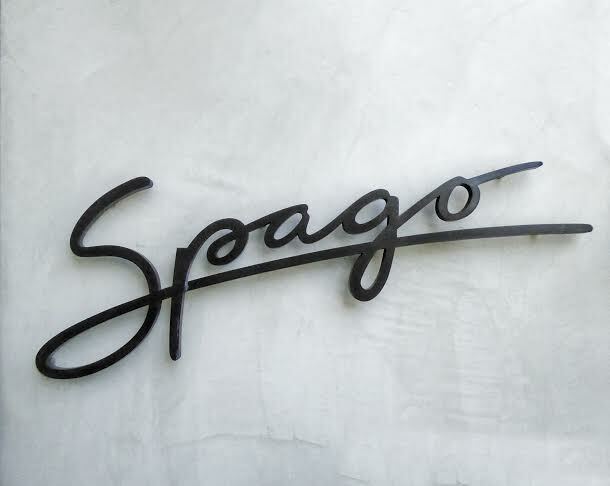 Spago soon began hosting the preeminent Oscar party after the conclusion of the Academy Award presentations, and every Hollywood star suddenly wanted to be seen in the presence of the talented Wolfgang Puck. So now, all these years later, our modest luncheon group—minus one—arrived at Spago—Barry, Arnie, and me—ready to break out of our Jewish deli routine, and enjoy the cuisine of the city’s finest chef. Our pal Josh had a last-minute scheduling conflict and could not join us this trip. As we were shown our table, we quickly spotted Puck in the middle of the room mingling with his delighted customers with that same intoxicating charm I had remembered from earlier days. He still had the same boyish face, but it was now framed by short tousled graying hair. I had forgotten how Wolfgang’s cheerful spirit is so pervasive throughout the place. 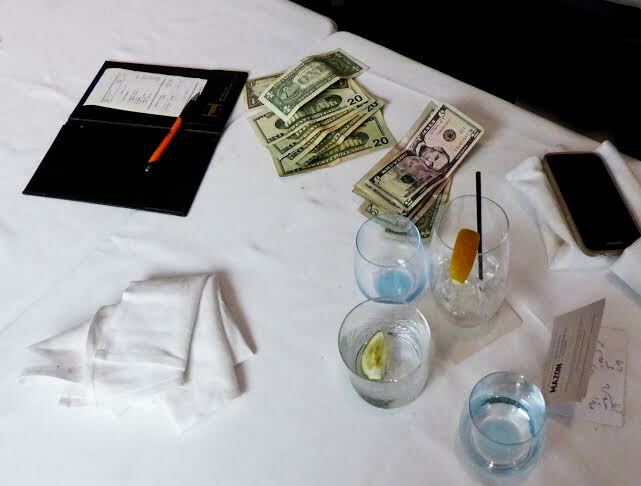 That spirit is reflected in the friendliness of his wait-staff and in the contented faces of his diners. Our group’s giddiness that day almost turned Barry into our very own version of Yogi Berra—the late New York Yankee legend whose famous convoluted sayings often conveyed a kind of folk wisdom. As Barry fondly reflected on our group’s outings in the last year, he said, “Just think, if we had only appreciated then how much fun we were having, how much more fun we might have had at the time.” I just know Yogi would be smiling somewhere today if he had overheard Barry’s mystifying observation. In the past, I had remembered that a Spago visit centered on the pure celebration of food, but this trip seemed to be more about the simple pleasure of the spontaneous communal dining experience. Our food was excellent as usual, but we hardly discussed our lunch fare as we reveled in the scene playing out all around us. Besides, we wanted to make sure we were fully appreciating the fun we were having this time instead of realizing it months later—with a sincere nod to our very own Yogi Berra. Bob Vickrey is a writer whose columns appear in several Southwestern newspapers including the Houston Chronicle. He is a member of the Board of Contributors of the Waco Tribune-Herald and a regular contributor for the Boryana Books website. He lives in Pacific Palisades, California.